WITH THIS audio recording, “Leo Frank Case Timeline,” we come to the final section of this important book. In combination with last week’s section setting forth the dramatis personae of this tragic, gripping tale, the listener can put the entire case in proper perspective. And over all these chapters, what an education the listener has received! — in factual accuracy and understanding of the real power vectors involved, far beyond anything even graduate-level courses in American universities, still shamefully wedded to the obviously false ADL/Jewish narrative, can offer on the subject. 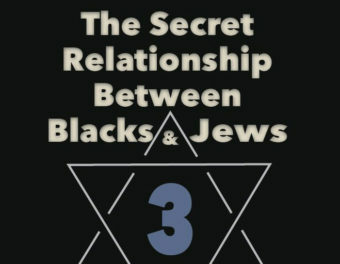 In this, the twenty-ninth and last audio segment of this ground-breaking work originally published by the Nation of Islam, part of their series called The Secret Relationship Between Blacks and Jews, we begin with the historical context of the times and conclude with the publication of this book, tracing every major event in the case in chronological order. The story of the murder of Mary Phagan and the trials and lynching of Leo Frank is an important story — a story of a murder and a subsequent power struggle — that has affected the fate of black people, white people, and Jews in the United States. It is a story the final chapter of which has yet to be written. This book, if it reaches the people it should reach, will itself shape that final chapter. This new audio book, based on the Nation of Islam’s The Leo Frank Case: The Lynching of a Guilty Man, was made possible through the permission of, and especially the superb research and writing of, the Nation of Islam Historical Research Group; the excellent spoken word performance of Vanessa Neubauer; and the audio editing and production of Penelope Lee. I thank you all. To read the complete book, simply click on this link and you will find every section from one to 29 available for download or listening online. We at The American Mercury are proud to have been a part of this project. Simply press “play” on the player embedded above — or at the end of this article — to hear part 29 of the book.